My local Ashley Stewart employees know that I like to be up to date on all the new items that come in the store so today when I got the call that these new products were in, I immediately ran up to the store. (Yes, I feel like a VIP, lol). 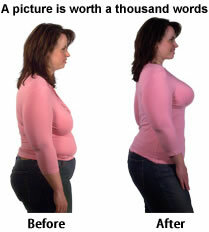 I mention this time and time again but us curvy ladies have to look “presentable” in our clothes when we leave the house. I have every foundation garment out I think from the Body Magic, Skineez to the Miraclesuit. I personally don’t like bulges in my clothing. So I went to check out the new undergarment called the “Squeem” that just came in the store today. Being that I’m a size 18/20 I tried on a 3X and it fit perfect. It’s Comfortable and figure enhancing and the Squeem Vest is the newest addition to the Ashley Stewart shape wear line. 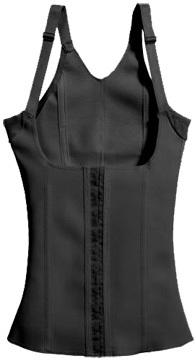 The flexible cotton and rubber vest lifts the bust and slims the waistline while giving your back support. The material kinda resembles a diving suit so I’m not sure how hot you may get after a few hours but I will test it further soon. It features double hook and eye front closures, flexible boning and adjustable straps. You must still wear a bra with this product too. I recommend using the Squeem if you’re gonna wear a baby tee shirt or anything where your “love handles” may show up thru your clothing. Now we can’t have that now can we? I love the vest! I got mine online for $47.65, and that was including shipping and handling. I’m getting the whole suit next! Danielle told me today that you tried this on and blogged about it. She wanted me to come try it on, but I wanted to see what you said about it first. It does look a lot like Miracle Suit. I guess I will have to try it on and compare.